Thermographic surveys of a property or structure can identify small surface temperature variations that may be attributable to the presence of hidden defects or features which could otherwise remain undetected. 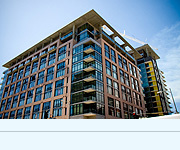 RS carrys out detailed thermographic surveys or assessments on buildings and specific building elements. Location of damp, missing or defective insulation. 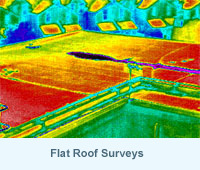 Roofing conditions assessments (leaks/trapped moisture/heat loss). 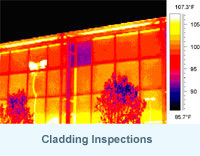 Cladding Thermographic Surveys (delaminated material or retained moisture). Tracing air or water leakage. 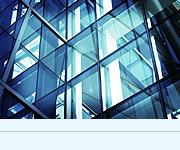 Assessment of double glazed units. Electrical / mechanical plant monitoring. Identification of hidden structural details. RS employs thermographic scanning equipment, regularly in conjunction with additional techniques, to provide independent interpretative reports. 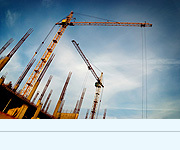 RS provides a professional, innovative, reliable and competetive service drawing on many years experience in the investigation, inspection and remediation of buildings and structures.